Here are all the free knitting patterns I've posted on this blog! Everyone needs more Giraffes in their lives. When little Miss Natalie out grew her first Giraffe hat, Auntie Tiffy was to the rescue with a new version that will grow with her! 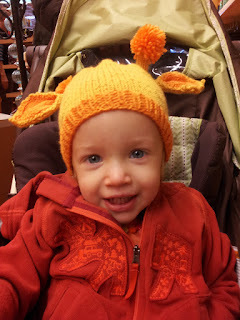 This adorable hat is knit with a lot of stretch to grow and can be easily modified to fit all sizes of Giraffes! 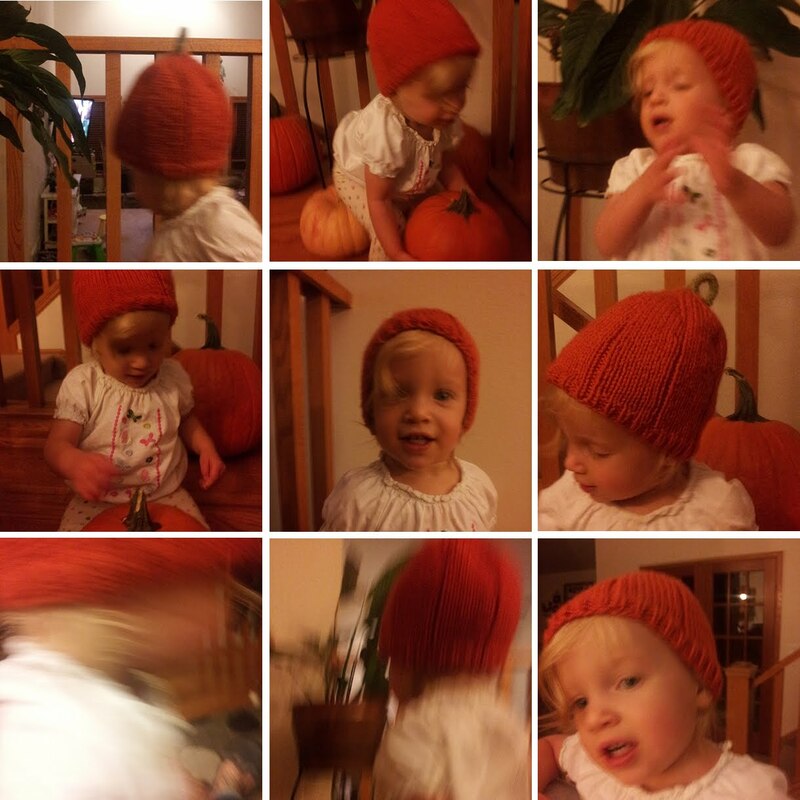 For when you need your Little Pumpkin to keep warm. 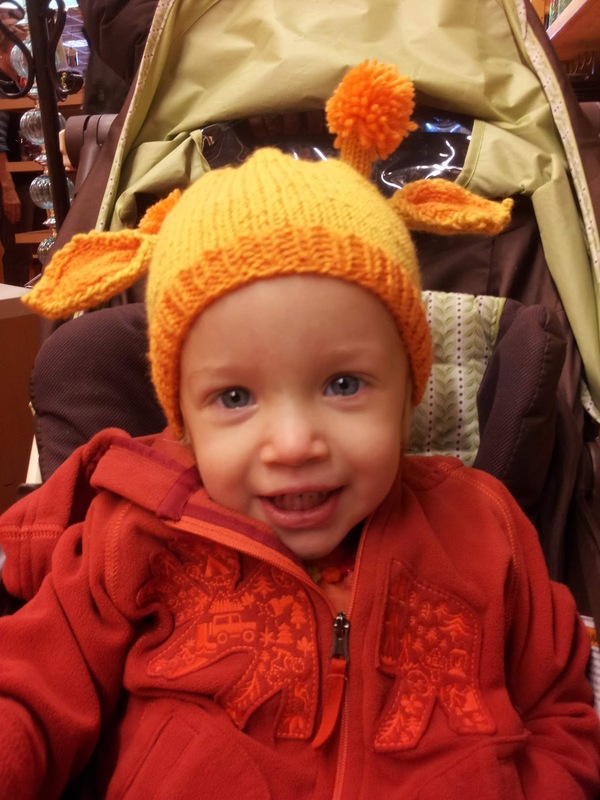 This toddler size beanie is a slight twist on a basic hat to give that extra bit of cute. Featuring wide ribs and a curly stem, this hat will definitely get you into the Autumn mood. A handmade twist on a store-bought style. 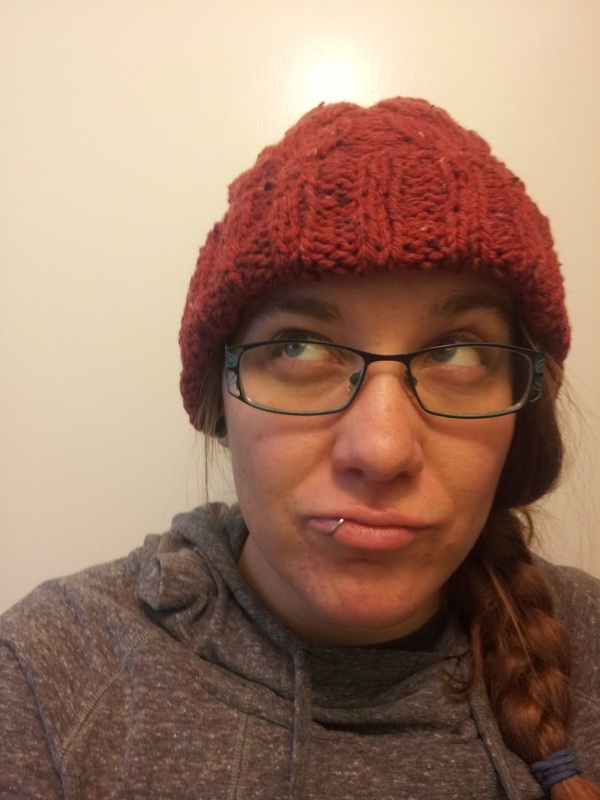 Inspired by a hat I saw in a store, this squishy cable hat uses chunky yarn to knit up warmth for your head fast. With a long brim you can wear this hat multiple ways and for extra flare add a pom-pom! This hat is for when you just want that well-worn hat look without waiting for it. The Not So Stoned Stoner Hat is a basic knit beanie with a bit more room for that messy hair and don't-care attitude. The original was so popular it's been stolen many a time by friends and friends of friends! A classic pattern for a classic look. This pattern is for a basic, no frills, seamless earflap hat. It's easy to embellish and make your own, or keep plain for that classic look. The Prefect Slouch is for when you just don't want to mess with that bed head. My first hat pattern, the Perfect Slouch provides the snug fit of a crocheted brim with the flop of a knit slouch. Whip it up and have a lazy hair day! A perfect pocket for when you need some extra storage. This pocket is knit flat as one piece and then sewn into shape. It's a fast knit and a great project for beginners to experts! When I had to have minor surgery on my eyelid, I whipped up a few cute eye patches to cover up the stitches. This is a quick knit for when you need a patch fast, for either costumes or real life! I made these scarfs for a family Christmas photo one year for the dogs. They're great for quick knits and look great!